This show format presented by YUNA is part of the new twenFM programme on Alex Offener Kanal on Thursdays 22:15-0:00! YUNA is inviting the funniest and interesting people related to the music industry talking about their jobs, gears, products and life in general and playing you their special sets! Live tweets, a guest hotline where you can ask questions and loads of surprises – meet the artists at home via twenFM.org internet live streaming throughout the world, 88,4FM on the radio and on Alex Offener Kanal on German cable tv! Antonio Olivieri, born in Italy, is a passionate music lover. 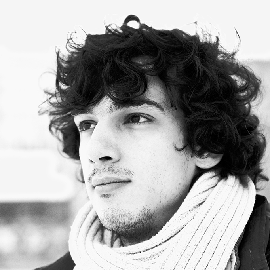 Exhausted by the mainstream philosophy after some experiences with major Italian labels such as Saifam Group, Antonio moved to Berlin in 2008 to fulfill his philosophical view on modern electronic music. At this point he had already left pure dj-ing and put his focus on performing live sets to convey a genuine live-feeling to the audience. The audible result is a dancefloor journey through Funk, Tech-House and a tasty mix of solid grooves and extraordinary melody sequences. In the past Antonio surely proved that he is a capable and highly skilled actor, touching different moods and styles of house music with some excursion into deep and techno. Listening to his music, it is not hard to notice his aptitude for melody, which is probably an imprinting residue of Antonio’s education on classical guitar over many years. Latest vinyl and digital releases are on “LustundFreu.de”, “Darkrrom Dubs”, and newly on “Steyoyoke”. Another EP worth mentioning is surely “Noton” with the Belgian label “Lift Your Head Up” (an unconventional approach on classical guitar recordings and nasty, basic rhythms). Antonio’s belief in concrete and emotional music prevails, as a statement in opposition to library based arrangements and the aesthetic crisis happening today. Emerging deep house label Steyoyoke has turned the heads of many since its recent launch and with a talented calibre of artists to boast its no surprise that the label finds itself as one of the up and coming record labels of the industry. The talented team of dj’s and producers have seen recognition from some of the industry’s biggest heavyweights and much to credit to the labels high end production skills. The label consists of a passionate and like-minded group of individuals who aim to mix only the very best of music and art together. Steyoyoke is a label that holds the rare power of being able to combine unique art and music whilst not swamping the other. The work of Azuldecobalt has become synonymous with the label and with no surprise in light of his eccentrically beautiful work. The labels love for vinyl has featured this talented artist’s eye catching creations since its launch. Steyoyoke strives to discover only the bravest artists, with forward-thinking underground music that push the boundaries of an otherwise shallow industry. The mission is to create a nurtured music experience that really understands the heart and soul of good music. An evening spent amid Steyoyoke’s finest is unlike many other and screams ripe to who have a true appreciation of deep house. The label has taken the necessary steps in its efforts to keep meeting the high expectations of both, the press and the fans. A well rounded promotion of the label has been merited to the unique and innovative work of the labels artists and has put the label in a stronghold for things to come. Steyoyoke’s recognition within the industry and a following of dedicated true fans is testimony to the label’s bright future.